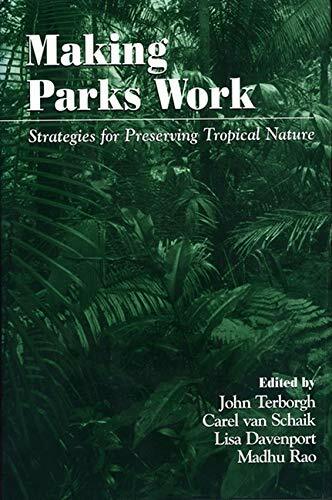 Most scientists and researchers working in tropical areas are convinced that parks and protected areas are the only real hope for saving land and biodiversity in those regions. Rather than giving up on parks that are foundering, ways must be found to strengthen them, and Making Parks Work offers a vital contribution to that effort. Focusing on the "good news" - success stories from the front lines and what lessons can be taken from those stories - the book gathers experiences and information from thirty leading conservationists into a guidebook of principles for effective management of protected areas. 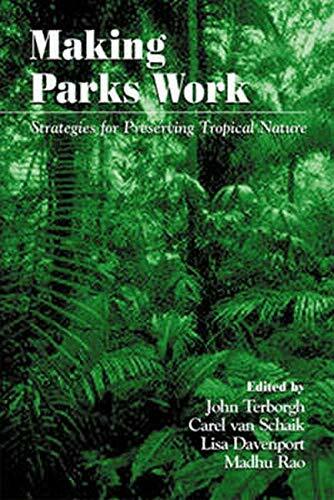 The book: - offers a general overview of the status of protected areas worldwide - presents case studies from Africa, Latin America, and Asia written by field researchers with long experience working in those areas - analyzes a variety of problems that parks face and suggests policies and practices for coping with those problems - explores the broad philosophical questions of conservation and how protected areas can - and must - resist the mounting pressures of an over-crowded world Contributors include Mario Boza, Katrina Brandon, K. Ullas Karanth, Randall Kramer, Jeff Langholz, John F. Oates, Carlos A. Peres, Herman Rijksen, Nick Salafsky, Thomas T. Struhsaker, Patricia C. Wright, and others. John Terborgh and Carel van Schaik are co-directors of the Center for Tropical Conservation at Duke University, where Dr. Terborgh is James B. Duke Professor of Environmental Science in the Nicholas School of the Environment and Dr. Schaik is professor of biological anthropology and anatomy. Lisa Davenport is a graduate student at the University of North Carolina, Chapel Hill. Madhu Rao is associate conservation ecologist with the Wildlife Conservation Society.